New York-based ShelterZoom plans to launch a real estate application that will lets buyers and sellers transact deals over a blockchain-based network, which could make purchasing a house as easy as pressing a button on a smartphone or tablet. Set to go live in the first quarter of 2019, the application allows sellers, buyers and real estate reps to see all offers and acceptances in real time online. Real estate agents, along with clients, can also access property titles, mortgages, legal and home inspection documents through the Ethereum-based encrypted blockchain ledger. "Our current platform is already helping agents, buyers, sellers and renters make the big leap to technology's present, and we're excited to initiate another industry sea change in early 2019," Chao Cheng-Shorland, ShelterZoom's CEO and co-founder, said in a statement. The start-up has been piloting its application with real estate firms over the past year; it's now being tested by more than 90 brokerages around the world. Blockchain, which is a peer-to-peer distributed ledger, can run on hundreds, thousands or even millions of servers, each of which has the same data entries as the other. Because everyone on a blockchain has access to the records, a consensus of users can validate whether a transaction is authentic or not. Additionally, the user's personal information behind the record is encrypted. ShelterZoom's "Offer Now" widget allows potential buyers to put an offer in on a property with a mobile device. Mike DelRose, 32, a real estate agent with RE/MAX Revolution in Watertown, Mass., describes himself as a tech enthusiast who became familiar with blockchain after his cousin recommended he buy bitcoin, the cryptocurrency application that runs on blockchain distributed ledger technology. "After researching it for six to eight months, I thought, 'How's the technology behind bitcoin going to impact real estate?' Because you see it impacting everything else," said DelRose, who runs a firm with eight realtors. DelRose found ShelterZoom online, contacted the company, and had it install the blockchain application widget on his real estate firm's website as an option for clients and listing agents. The app required integrating some HTML code on the website, but was fairly straight forward, he said. 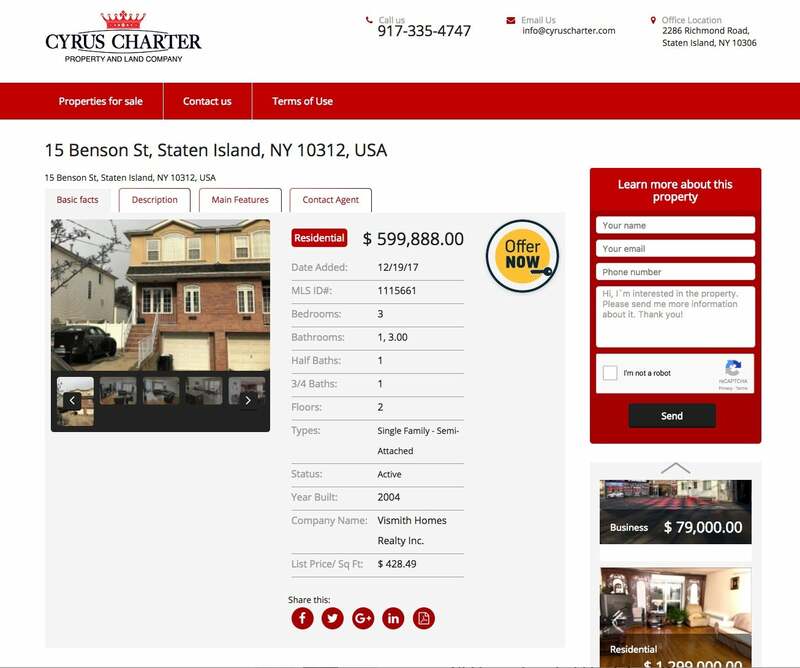 Cyrus Charter of New York was the first realty company to deploy ShelterZoom's blockchain platform. DelRose, who has also been working with ShelterZoom to promote the platform, said the technology not only brings transparency to the real estate transaction process, but also reduces the time needed to process paperwork. Shortly after the widget was installed on his site, DelRose said he was able to use the application to sell his own home to a buyer who was not tech savvy and spoke English as a second language. "I was able to walk him through the process. Within five minutes, I had an offer on my [smartphone]. I shipped off the offer as a PDF to my attorney." The application, DelRose said, did exactly what he'd hoped it would: it boosted transaction visibility so all parties could see offers made and accepted in real time; it also cut out the mound of paperwork typically emailed or hand carried between sellers and buyers. Documents are in electronic form, can be signed online and use a participant's blockchain key as his/her e-signature. "It's extremely exciting. We've needed something like this for a long, long time," DelRose said. Currently, ShelterZoom's app does not help with signatures outside the initial purchase contract, although buyers and sellers do have the ability to exchange files, DelRose said. ShelterZoom is planning to add electronic signatures in the future. 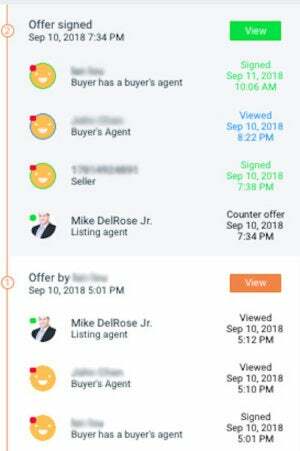 Mike DelRose's personal property sale offer and acceptance performed via a mobile device on the ShelterZoom app. "Right now, it's a great complement to what we already have as agents. In the future you expect a platform that's a lot more robust and intuitive. It will bring people together in an electronic space in a way that makes a lot of sense," DelRose said. "But for now, it makes one aspect of a real estate transaction extremely efficient by improving the experience for agents, buyers [and] sellers to a large extent." DelRose's greatest concern is that other real estate agents may be wary of the new technology. "Getting agents off fax machines was hard enough. When you talk to these agents and they hear what you're doing, they're like, 'Wow, I don't know about that,'" DelRose said. "I'm not worried about clients. My clients all love the idea." ShelterZoom provides a dashboard of transactions, a widget and a mobile app enabling buyers and buyer agents to instantly submit offers from any online real estate listing. ShelterZoom's "Offer NOW" widget purports to enable greater interoperability and transparency for faster deals. Unlike some other blockchain applications that digitize assets by turning them into bitcoin, Ether or other digital currencies that can be sold or traded online, ShelterZoom's application doesn't handle the monetary exchange. "At this stage, we don't involve actual money handling such as escrow, down payments and closing payments as this will require a money transmitter license in every state and different countries," a spokesperson said via email. "These still will happen outside of the platform." As a lender to the buyer and part of an end-to-end real estate transaction. By offering their services through the marketplace for consumers to acquire. One of the main attributes DelRose cited in his adoption of the technology is the ability to see the offer and acceptance process in real time. While ShelterZoom's application does not yet enable money to be transferred, the blockchain technology it's built on can do so through smart contracts – self-executing code that recognizes when two parties agree to exchange an asset. In the same way, property deeds could be transferred. Sandy Krueger, CEO of Staten Island Multiple Listing Service, rolled out a ShelterZoom proof of concept for his company's real estate listing site earlier this year to address transparency and the inefficiencies inherent in traditional property deals. "It makes the transaction more transparent in the sense that I, as the seller, know there's an offer coming in so I can call my realtor and say, 'What's going on with this offer?'" Krueger said, "rather than being left in the dark and waiting for someone to call me and tell me something's going on." Also gaining momentum in real estate are new ownership and service models being created by tokenization – the digitizing of assets that can be sold or traded on DLT. (Tokenization, in essence, converts the value of real-world property into digital currency that can be sold or traded. 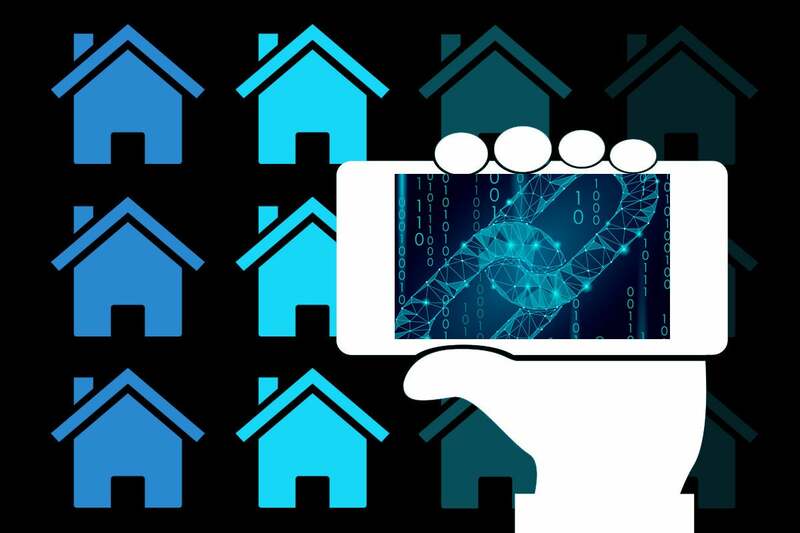 Blockchain-based apps for real estate now include start-ups that handle foreign investments, property title record keeping, property rentals and tokenization. Blockchain networks that tokenize real estate allow traditional investors and consumers to buy shares of a property and receive a return on rents or mortgages. The money paid for the shares allows property owners to make additional investments. For example, Polymath, Securitize and Harbor are among the industry's leading blockchain networks that enable assets – such as commercial buildings – to be tokenized and turned into tradable securities. One start-up, Jointer.io, is focused exclusively on real estate tokenization, but unlike other services, it doesn't offer one property as shares that can be purchased. It combines a number of buildings in an index, and participants can then buy tokens from that index. The result is less risk and more profit, according to Jude Regev, founder and CEO of Jointer.